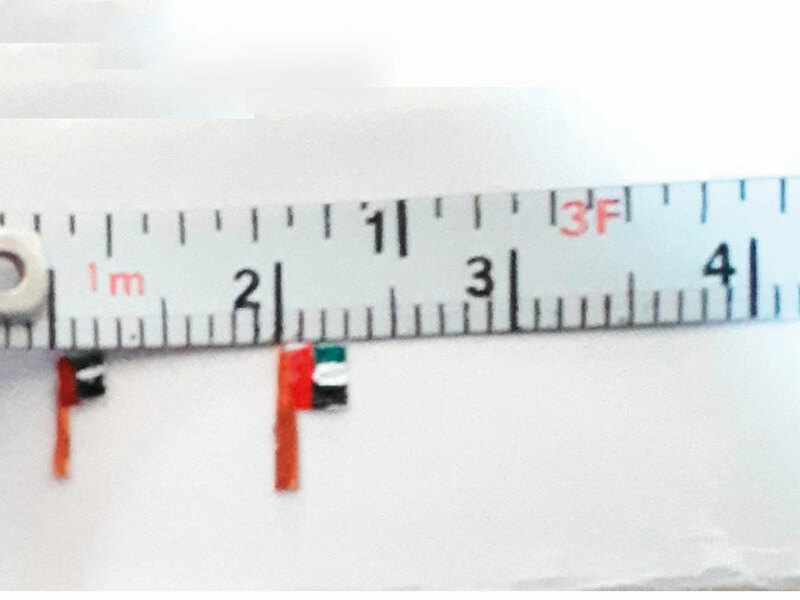 Dubai: An Indian housewife in Dubai said she has made a UAE flag measuring just 2mm across as a way to accomplish a feat for the 47th National Day celebrations. Speaking to Gulf News, Rayisa Talha said she wanted to do something different this time. “We keep seeing the biggest flags made for National Day and I can’t make a big flag. So why not make a really small one, to make it special or different in that sense,” Talha, who is from the southern Indian city of Chennai, said. The flag is made of paper and coloured with fabric paint. Its mast or pole — measuring “3mm to 4mm” — is actually just a piece of toothpick, Talha said. Her husband Naiman Kaadib Mohammad, 35, said the family wanted to share in the National Day celebrations by doing something unique. “We love the UAE and we wanted to express our happiness about the National Day in our own way. We’ll try to have the small flag adjudicated to see if it’s a record. We don’t know how to go about doing that; we’ll look into it after the National Day holiday,” said Mohammad, who works for a property management company in Dubai. He added that the family plans to drive to Musandam in Oman, a popular tourist destination, as a day trip during the National Day public holiday. Mohammad moved to Dubai in 2004 and his wife joined him in 2009.